Merry Christmas! 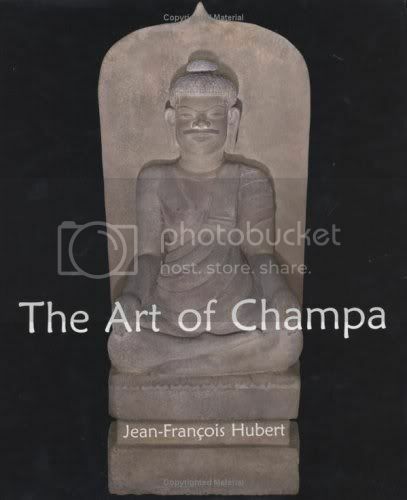 This Christmas season, the Southeast Asian Archaeology Newsblog is giving away a hardcover copy of The Art of Champa by Jean-Francois Hubert. Each comment represents one chance at the draw; you may post as many comments as you want, but comments must be related to the topic. Each comment must be accompanied with an email address. This will enable me to get in touch with you if you win the book. Fret not, your email will not be given to any third party. At the end of the 12 days of Christmas, I’ll collate the commenters and draw the lucky winner. The book will be sent to the winner by post! Easy as pie, eh? Of course, you could always just buy the book. This looks like an interesting book. I would love to read it.